Zynga localizes its popular game for new countries, then enlists star power to promote the app worldwide. When Zynga acquired OMGPOP in March, our first reaction (OK second, after thinking the company overpaid) was, now what? Did the social games publisher pay to absorb the competition, and if so, did it have longterm plans for Draw Something, OMGPOP's breakout hit? 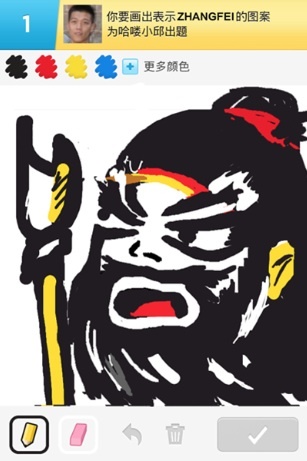 Also, in China, players can enjoy Draw Something through Sina Weibo, one of China's biggest social networks. On top of that, Zynga partnered with singers Enrique Iglesias and Jennifer Lopez to celebrate the launch, where the pop stars will choose words that'll be featured for seven days (one word per day); users can access these words by choosing the JLo Enrique option in new and free Special Words feature. Finally, both artists will promote the game on Twitter as they prepare for their July 14 North American tour. references and our partnership with global superstars such as Enrique Iglesias and Jennifer Lopez, the game will be even more fun for more players. How do you draw 'caliente'? We'll soon find out." Pretty crazy, right? At least Zynga plans to get the most for its money. After all, it did pay roughly $200 million for OMGPOP.